If you are an espresso fanatic, chances are you’ve ogled at a Jura machine before. These sleek, high-end espresso makers are some of the most sought after luxury products in the world of caffeine addicts. So you know you’re ready to splurge, but how do you choose which machine to spend your hard-saved money on? We’ve gathered some of our top picks from the Jura product range to help you figure that out. Jura, also known as Jura Elektroapparate AP, is a Swiss company that was founded in 1931 by a man named Leo Henzrioh. The manufacturing and distribution company is endorsed by Roger Federer, a Swiss tennis player. Their story began with an array of househld products, but once they broke into the espresso machine world, they never looked back. They have since phased out most of their other products in order to focus all of their innovative energies on their coffee machines. Because Jura aims to be at the forefront of espresso technology, they exclusively produce fully and super automatic machines. They tend to have sleek, simple designs that can add to the aesthetic of any kitchen. Also due their forward-facing mindset, their machines are all top-o-the-line. Jura is dedicated to using only the best build materials and features, which means they have a total of zero budget options. Aroma +: The latest iteration of the Jura Aroma stainless steel burr grinders. These are specifically designed with easy to understand illustrations so you can get the precise grind you want. It also runs really quickly and quietly. IPBAS: The Intelligent Pre-Brew Aroma System is a pre-infusion feature that comes into play after beans are processed with the grinder. It adds a bit of water to the grounds to help bring out their full flavor profile. PEP: The Pulse Extraction Process system is essentially the next step in the process. It ensures that the shot is pulled evenly and precisely. It’s even included in some of the more basic models, which helps set them apart from the competition taste-wise. FFT: The Fine Foam Technology froths the milk twice in order to create a professional quality microfoam. CLARIS: CLARIS is an anti-scaling technology that’s designed to filter out minerals, preventing scaling and potential damage to the machine’s heating element. CLEARYL: These are cartridge filters designed to remove impurities from the water that you put into your machine. ESM: Energy Save Mode is a tech feature that allows you to customize your machine’s energy output to save output during parts of the day when your machine is not in use. ESM-equipped machines can be programmed to save up to 40% of energy output. IWS: The Intelligent Water System is a detection system that tells the machine (and you) when the machine’s filter needs changing. If you are just looking for a basic, straightforward espresso, the A1 might be right for you. The A1 is our favorite budget machine. It’s best of you aren’t too concerned with making milk-based drinks or you already have a separate milk frother. 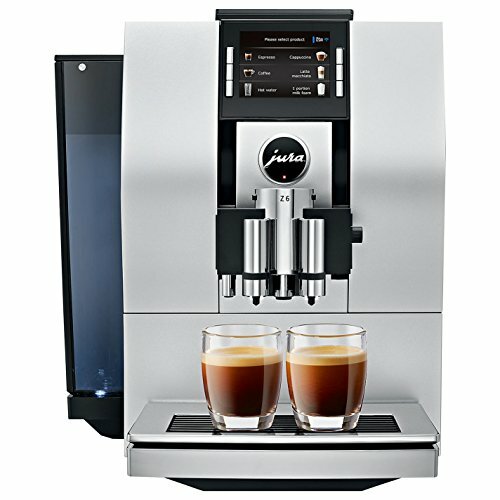 This machine is compact and comes at the lowest price you can find in the Jura line-up. But with the Aroma G3 and PEP system, you’ll get an incredible tasting espresso. The Micro 9 is billed as the world’s smallest one-touch espresso machine. Essentially, it’s very similar in style to the brand’s other ENA machines, but this bad boy makes steamed, frothed milk too. The Micro 9 has a few additional settings (which you’d expect for the price), but it’s not the most advanced coffee machine you’ll find in the Jura range. 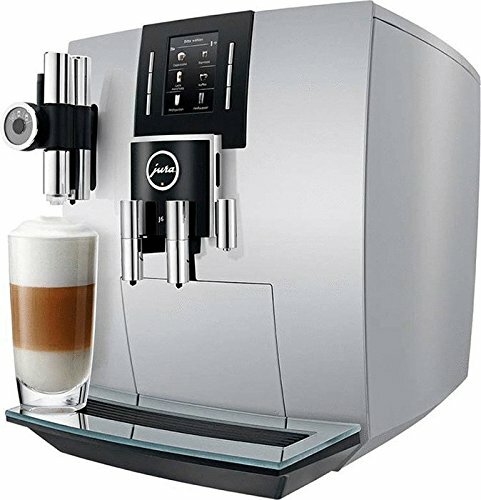 If you want a superior-quality coffee machine that will make you a good espresso, cappuccino, or latte, this could be the machine for you. The Micro 9 has a built-in frother with FFT, a burr grinder, and several basic taste adjustment settings. The machine also has a height-adjustable spout to accommodate different cup and mug sizes. With a comparatively reasonable price and plenty of features, the C65 is the total package machine. 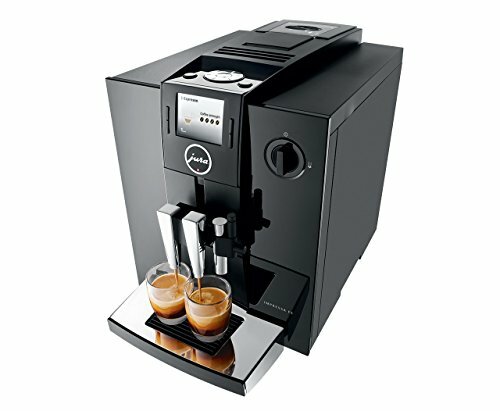 The three biggest pulls of this machine are the Aroma+ grinder, FFT, and double shot pulling. Between these three features, you can brew an array of beverages from a decadent espresso shot to a delightful latte. While the system is not self-cleaning like many of the other Jura models, it’s decently easy to dismantle and clean. Plus, because it cuts out some of the extra bells and whistles, this machine is slimmer than many other double brewing systems. The Impressa F8 is the first machine in Jura’s compact class to feature a color display screen, and that makes using the Rotary Switch even easier. The machine allows you to program four specialty coffees, has a built-in milk frother, and is fitted with the Aroma G3 grinder. This machine also has a super self-cleaning facility. For those home baristas who just can’t let go control of their brewing, the F8 has an “Expert Mode,” allowing you to change various settings, including shot strength, temperature, volume, etc. There’s also a neat counter feature that lets you keep track of how many shots you’ve pulled. The F8 is perfect for the coffee drinking household or small office setting where different specialty beverages are routinely required. The Impressa J6 is technically a mid-range Jura option and is a great choice if your budget can accommodate it. This machine packs a pretty impressive punch with 11 different programming options and 6 pre-programmed buttons. That makes this one of Juras most accommodating mid-price options. If you’re looking for a real showstopping machine, the Giga 5 might be the one for you. Consistently one of Jura’s top selling products, this machine really showcases the intention behind Jura’s brand. Whatever your expecttions are, double them. This machine has two electrically adjustable ceramic burr grinders, dual spouts with 4 outlets, and a dual boiler system. All that means you can brew two specialty drinks quickly and independently…at the same time. No Jura machine is really going to be a “budget” machine. There are only a few models that come in under $1000. However, there is a pretty significant price gradient to take into consideration. If you’re looking for something at the lower end, consider the A1. You can pull a great shot for years, but you won’t get much else. On the other hand, if money really is no object, you can opt for the fully equipped Giga 5. For something in between, go for the C65 or J6. With some of these tech-heavy machines comes a pretty hefty footprint. If you have a small space, don’t opt for a machine that is going to take up the whole counter. Jura’s size range varies from ultra compact to miniature tanks, so just measure BEFORE you buy. Many of Jura’s machines are self cleaning, but some options like the C65 must be manually cleaned. While the lack of the self-cleaning feature can make the price much lower, it doesn’t require a bit more effort on your part. So if you are looking for the epitome of convenience, you might want to save up a bit more and opt for the extra capability. Now, you will have noticed that the more basic Jura models lack some of the bells and whistles that are boasted by the pricier ones. Never fear; you needn’t miss out. Jura makes a whole raft of accessories and add-ons that you can purchase separately to enhance your coffee-making experience. Essentially, these are milk storage containers Basic Compact Milk Cooler If you click this link and make a purchase, we earn a commission at no additional cost to you. that come in various sizes. The idea is to keep your milk at a constant 39.20F, giving you the best-tasting milk foam for your espresso-based and specialty beverages. As you know, much of your brew’s heat is lost when you pour it out into a cold cup. Jura’s cup warmer will warm your cups to about 131oF, which is the optimal temperature into which to pour a hot brew. The Jura cup warmer Jura Cup Warmer If you click this link and make a purchase, we earn a commission at no additional cost to you. is neat and compact and has a handy, programmable timer so you can have your cups warmed ready to receive your brew. If you buy a Jura machine with a Connector System, you might want to buy a Professional Fine Foam Frother If you click this link and make a purchase, we earn a commission at no additional cost to you. to add to your combo. This system uses a two-stage milk frothing process to prepare barista-quality milk and milk foam. Now, if you were impressed by the Giga 5, prepare to be blown away by the Z6. 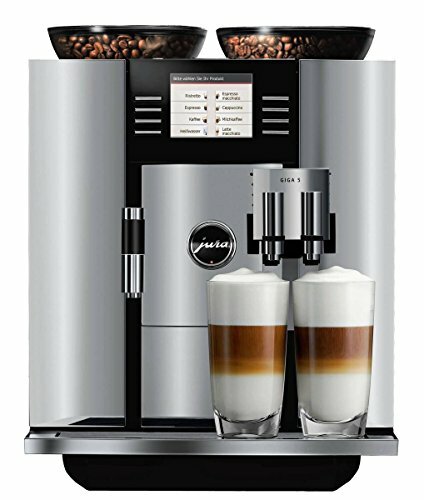 This is not a cheap product, but it’s not quite as expensive as the Giga 5, placing this machine within reach of many serious coffee fans. 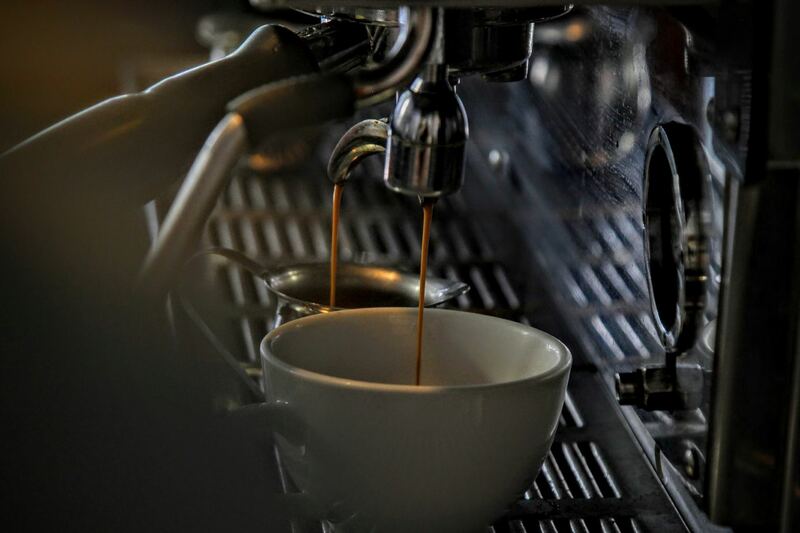 The Z6 makes exceptional espresso with barista-quality crema. It also has an easy-to-use, yet sophisticated milk system that allows you to make your latte extra-hot or produce a dry cappuccino if that’s your thing. Heck, the Z6 has ten different settings just for milk and froth! The Z6 features Jura’s Intelligent Water System and has a Radio Frequency Identification chip that tells you when its filter needs replacement. 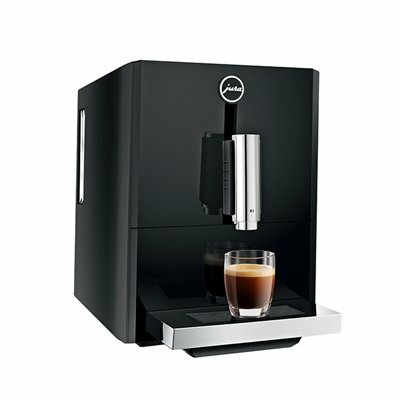 The Z6 makes perfect espresso shots every time, is super-automated, and offers you many choices for customization. The built-in burr grinder is super-quiet too. This Jura machine is ideal for coffee fans who have a big counter, the need for multiple coffee-based beverage options, and a generous budget. 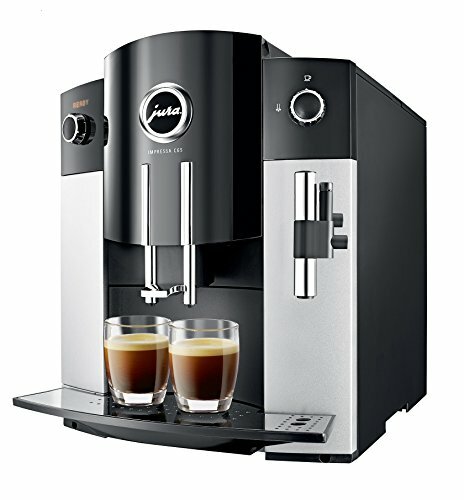 As you will have gathered from our reviews and education section, Jura coffee machines are undoubtedly some of the very best quality automatic coffee machines currently out there on the market. Rather than simply making a nice cup of Joe, Jura engineering and design ensure precision, performance, and perfection in every brew. If you’re just here for the basics, the A1 should be perfectly suited to your needs. 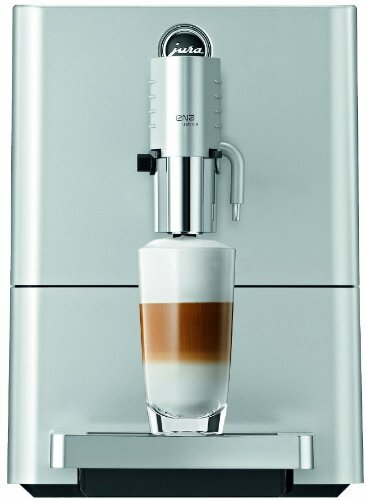 But if you’re on the market for a live-in barista, the Giga 5 might be the better choice. If you’re looking for something in between those two, the C65 is a great choice if you’re willing to put in a little extra work. The J6 is a few steps above that, closer to the Giga 5. Check out these amazing coffee accessories that you probably don't need. But I'm sure many of you would still love to have them.